What are the main challenges the banking sector in Azerbaijan is facing? Azerbaijan is passing through an important stage of reforms. Economic diversification and rapid development of the non-oil sector are key priorities for the country. With inputs from the world’s leading consulting firms, integrated reforms have been developed within the framework of the Strategic Roadmaps for Azerbaijan. The government places great importance on economic reform to improve the business environment, and ensure transparency in the economic and financial sector. One key element is the introduction of a new regulatory body, the Financial Market Supervisory Authority, which is tasked with improving the liquidity and risk management environment in the banking sector of Azerbaijan. Government agencies and the regulator have already started improving troubled banks and initiated restructuring processes both in private and state-owned banks, which could be considered inevitable in order to clean up toxic assets of the banking sector. How does Kapital Bank respond to such challenges? Kapital Bank’s strength has been recognized by rating agencies and it holds one of the highest credit ratings possible in the banking sector of Azerbaijan. Standard & Poor’s has confirmed Kapital Bank’s creditworthiness and competitiveness. According to S&P analysts, Kapital Bank is one of the most stable banks in Azerbaijan. In addition, Kapital Bank’s current deposit rating has a one-notch uplift in comparison with other banks rated in the country based on Moody’s estimation of its high market share and large customer base. Overall, the bank is in a strong position to withstand any market risks, thanks to its sound capitalization and high profitability in recent years. Kapital Bank is the top performer by growth of market share, asset size and net income volume in the banking sector of Azerbaijan. Thanks to its longstanding banking history, the bank is recognized as the best partner for financial institutions in Azerbaijan, and is the only bank in Azerbaijan that is a member of BAFT, the American Bankers Association. We have won a reputation for long-term and well-trusted relationships. What are the key priorities for ensuring Kapital Bank’s leading position? Founded in 1874, Kapital Bank is the major provider of banking services and products to the State and state-owned companies, corporations and the retail market. Having the largest branch network in the country, the bank serves more than three million individuals annually. The year 2016 was one of evolution, within the framework of our Business Process Transformation project. With the assistance of McKinsey & Company, we have focused on optimizing front and back office structures and core business processes. The future of banking will be very different from the recent past, thanks to technology innovation’s impacts on the banking sector and society. Kapital Bank will invest more in IT capacity — modernizing IT infrastructure and data management systems, increasing our in-house knowledge base and adding CRM/BPM tools. Digitization has become a key priority to achieve the bank’s main strategic goal: to become the leader in Azerbaijan by 2020 in both retail and corporate banking sectors. How do you manage new banking services in the complex banking landscape? we follow global standards, and regularly reviewing AML/KYC/CTF policies and procedures to maintain compliance with international and local regulatory changes. We have engaged a leading global consultancy to help us in the assessment of our governance and compliance programs, using International Standard on Assurance Engagements (ISAE) 3000. The implementation of FATCA has been successfully realized by Deloitte. Moreover, Kapital Bank has been successfully registered in the SWIFT KYC Registry. How will Kapital Bank achieve its strategic goals? Kapital Bank’s key goal is to provide the best services to its clients and partners. 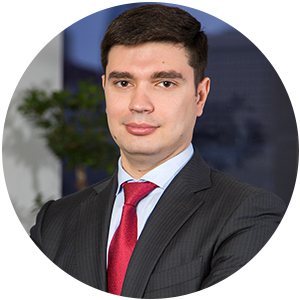 We are committed to the execution of our tactical plans within Kapital Bank’s long-term strategy, and continue launching new projects in three strategic directions: digital transformation of our products and services, expansion of retail transactional banking and development of service models for SMEs. Each of these strategic directions requires substantial investment in core banking systems, in improving flexibility and user-friendliness of banking products and services, and in innovation and cybersecurity. Kapital Bank has already increased capital and liquidity capacity, improved risk management processes, upgraded employee skills, and invested in infrastructure development and e-solutions. We believe that combined, these developments will help to further strengthen the confidence of our partners and customers over the long term. Moreover, the successful completion of our strategic projects will help Kapital Bank to create long-term value by increasing its competitive advantages within the Azerbaijan economy.